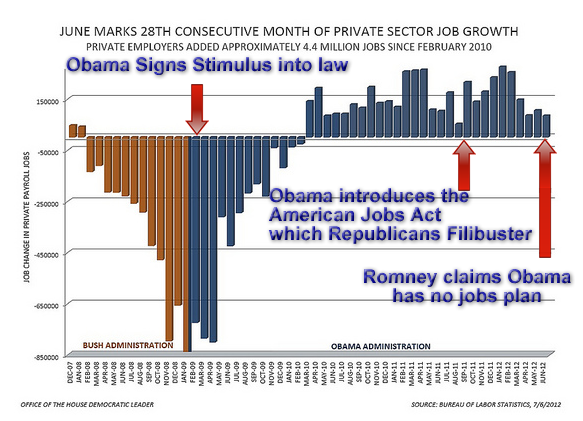 Mitt Romney recently claimed that Obama had no jobs plan, and added “Now I know we’re getting close to an election so he’ll come out with one soon, but three and a half years later, we’re waiting.” But in fact, Obama introduced the American Jobs Act in September of 2011. The plan received high marks by private sector ratings agencies. Yet Republicans filibustered the bill. Obama has recently brought the bill back into the limelight. And as shown here and here, Republicans aren’t looking to create jobs for the average worker, they’re working to try and cause Obama to lose his. And to be clear, Obama actually has a jobs BILL that can be (and has been) rated by private sector rating agencies (as mentioned above) and whose costs have been scored by the CBO. Romney’s jobs plan at this point is a PDF file full of vague ideas that can’t be scored in the same manner. 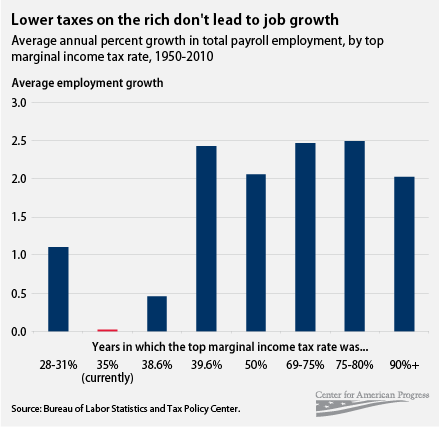 It’s worth noting that Mitt Romney considers slashing taxes on corporations and the wealthy to be a “job creation” strategy. 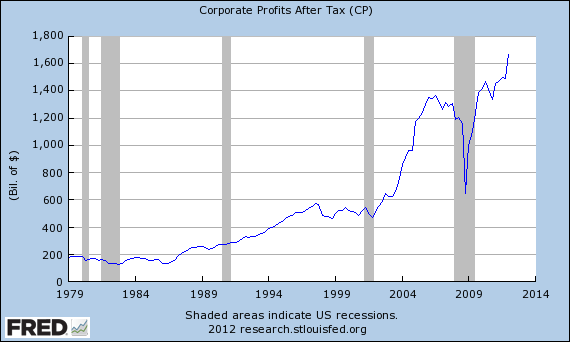 The assumption here is that lower taxes on profits will somehow cause more investment in job creation. History has proven this wrong. 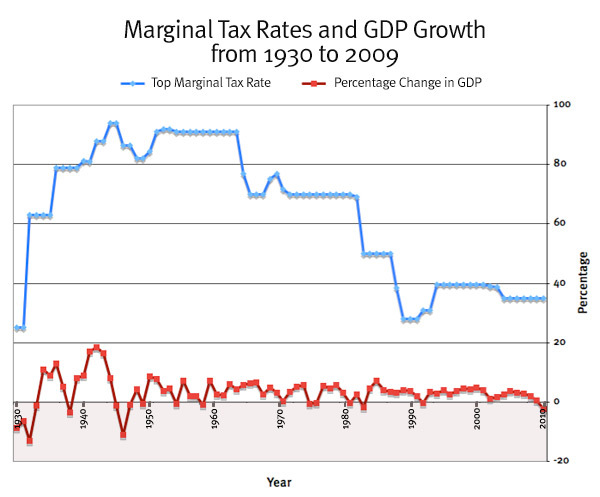 Tax rates for both have been slashed; the wealthiest are much wealthier now and corporate profits have soared and yet job creation is actually slower.